Treasure and memories are the things we would love to keep. A gold ring, diamond cut, pearl filled ornaments or anything that is of great value. 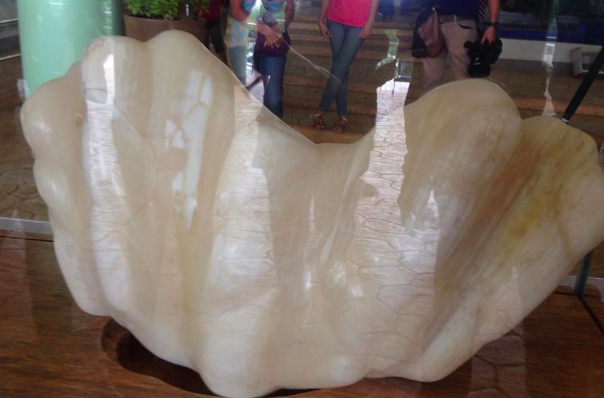 A fisherman from the Philippines has kept this giant pearl hidden in his home for almost a decade. Weighing at least 34kg (75lb) and reached up to 30cm wide (1ft), 67cm long (2.2ft). 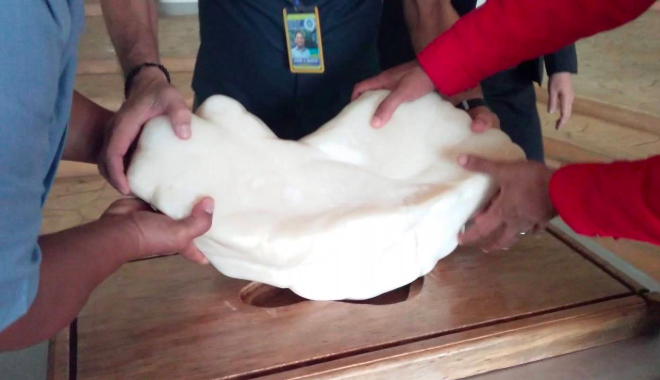 If confirmed to be from a giant clam, this could be valued at more than $100 million. 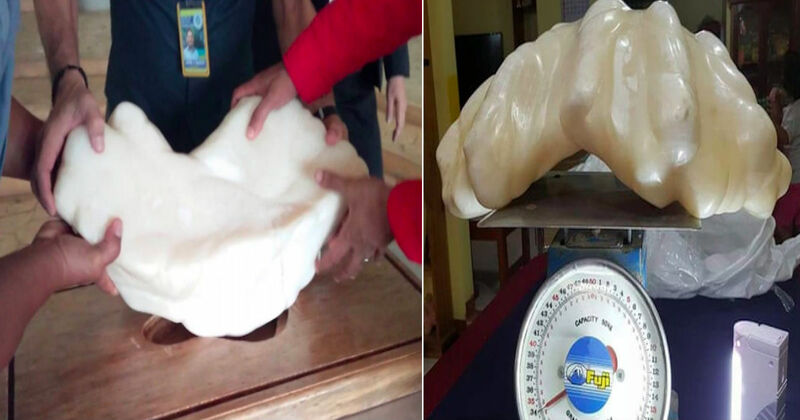 The man found this pearl 10 years ago after his boat’s anchor caught up on the giant clam and he had to swim down to remove it. Not aware of the potential value, he kept the clam as a good luck charm. Upon moving to another part of the province, he decided to entrust this to his aunt because it was too heavy. 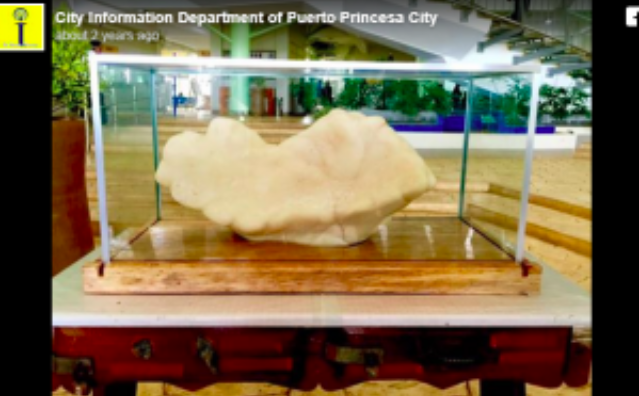 With the fisherman's permission, the giant pearl now serves a tourist attraction in the city, being displayed in the atrium of the New Green City Hall in Puerto Princesa. 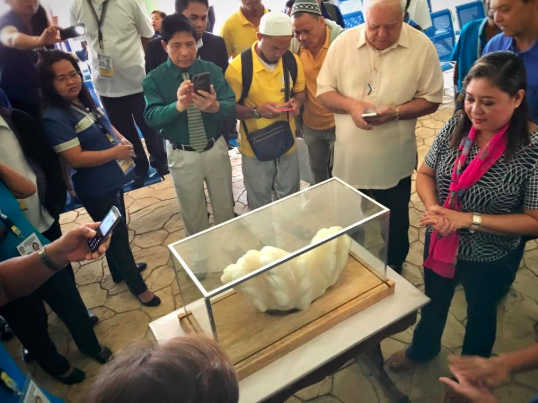 Currently, they are seeking for professional help in identifying the authenticity of the pearl for it was impossible to find records related to this kind of pearl. This pearl was merely kept by the fisherman for good luck. Looking forward to earning another prestigious title, Puerto Princesa would love to seek for professional assistance. Having all recorded giant pearls in the world came from Palawan waters, this would be an honor to add this on the top list. 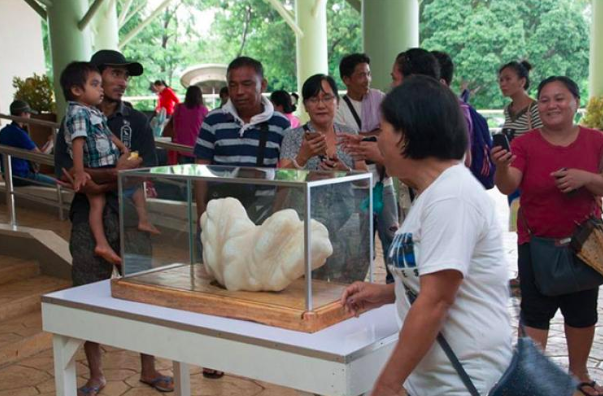 If authenticated, the pearl is notably larger than the current record-holder, which was also from Palawan. 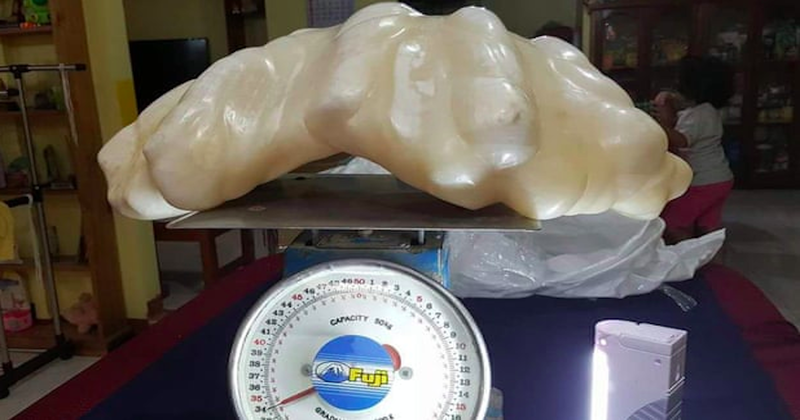 A local diver from Palawan recovered the current largest pearl also known as the Pearl of Lao Tzu, weighing 6.4kg, in year 1939. May we give importance to the things nature has blessed us with. Treasures are within our boundaries, it is how we keep them safe.